Readymades are a great quick and economical option to dress up your home, add style, or help insulate your home for winter. There are many options available so no doubt we will have something to suit any situation. One of the great advantages of readymades is that you can come in, buy a pack that suits and take it home and hang it up immediately, no waiting for them to be sewn up like custom made drapes. The price is also much better than custom made, if you can come and buy a pack off the shelf that suits your needs you will save yourself a lot. Come in and see our great range today! 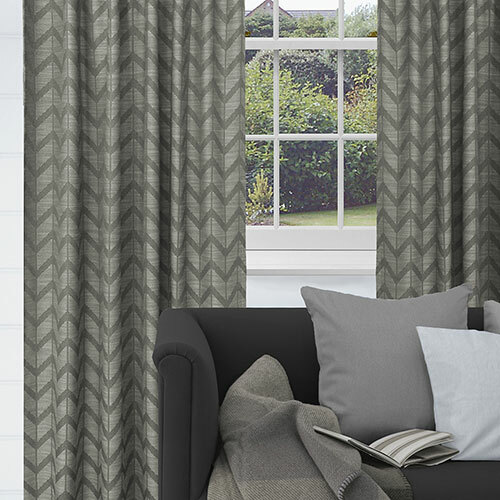 At Kevens Curtains we have a large range of good quality, well priced readymades to suit any budget. 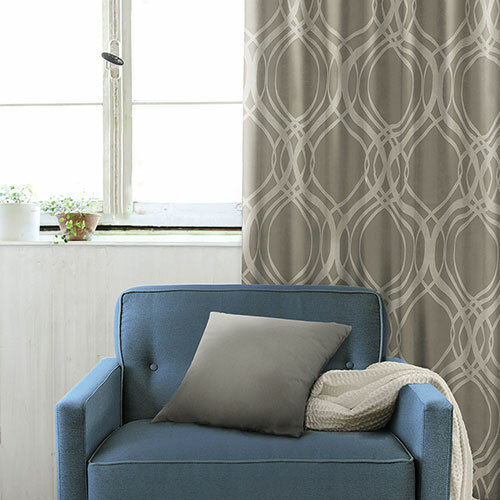 Re curtain your whole home or just re do a bedroom or lounge, great for rentals or bach's or just for a quick fix. 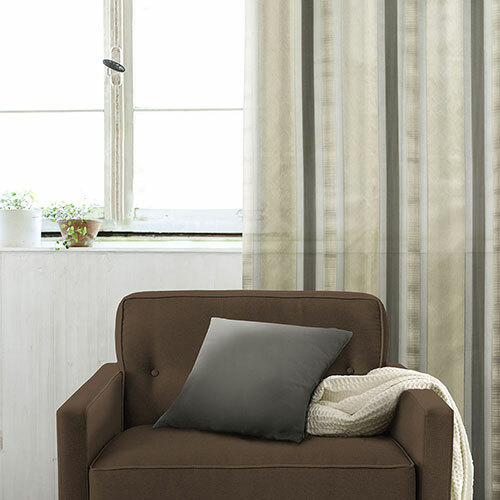 If custom made drapes are too expensive for what you are after, our readymades are the way to go! We have many options from cheap, basic readymades perfect for rentals or your first home up to much more deluxe readymades that will add luxury and design to any room. There are usually lots of bargain readymades too that are closeouts or one offs that you can get at ridiculously low prices. So no matter your budget we will have something to suit! There are so many gorgeous designs to choose from you wouldn't believe they are readymades. 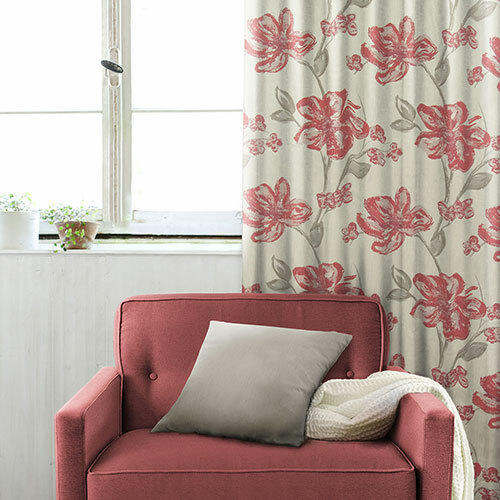 We have silk/taffy look drapes, heavy textured drapes, natural look drapes, jacquard drapes, self patterned drapes, floral patterns, stripes, waves, there is so much choice you really need to come and have a look for yourself. We also have a great selection of different headings/pleats available too, we have Eyelet tops, Tab Tops, Box Pleat and also the standard Pencil pleat. There is no doubt something in our range will suit you and your home. In our range there are thermal backed options, blockout options, separate polycotton lined options and unlined options so there is definitely something there to suit you. If the design you like doesn't come lined but you require a lining, no problem we can either sew a lining directly onto the readymade for you or we can make separate linings on lining tape that you can hook straight onto the hooks in the top of the readymade. We have three major suppliers of our readymades and try to keep good stocks instore, however in most cases if we do not have enough in stock for your requirements we can usually get them in within a few days. Cant find the right size though? Never fear, should you require any altering on your readymades - eg, Shortening, joining etc we have that covered too. Our sewers can alter to your requirements for a small fee. That way we can make the readymades you desire fit the space you have. Don't worry about the tracks either, we have that covered too, with a large range of Prepackaged tracks and Rods for to take home today you will be on your way to a new look in no time. Or if you prefer something a bit more heavy duty we can custom order all sorts of different tracks and rods for you also. We have a great variety of nets, sheers and voiles available readymade also. 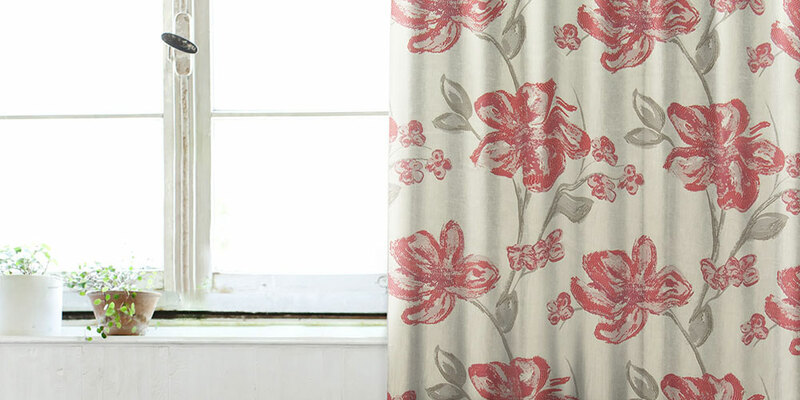 These are great when you require a bit of privacy on your windows, or to keep the suns harsh rays off your furniture. These are available with a tape on the top for tracking, pockets for wire or rod, Tab Tops and Eyelets. We have the traditional lace sheers buy the meter in a range of styles with the smaller cafe nets as well. We also have some elegant voiles on Tab Tops, Pocket Tops and Eyelets to real give your home a real lift. 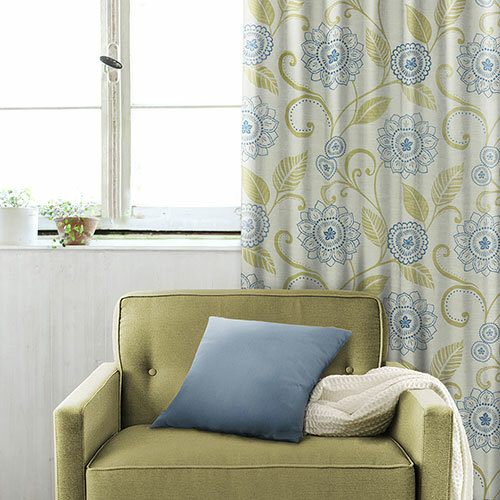 There are more natural looking fabrics as well as some more glitzy styles and patterned designs. Something to suit everyone!